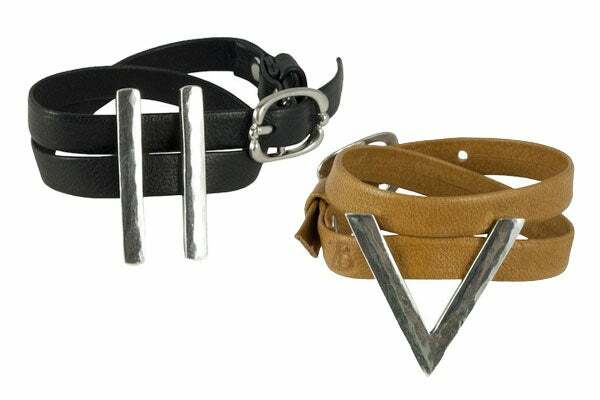 We'll jump on any opportunity to admire the rustic-cool jewelry of Tamar Wider’s line The 2Bandits. Need proof? Her recent lookbook had us practically falling over each other to nab the fun pieces. Her latest venture, though, is about much more than just gorgeous bips and bops: The Leo Project is an homage to Wider’s close friends who recently lost their beloved son, Leo. Wider has designed bracelets (prices ranging from $55 to $118) for the project, simply called Leo’s Sticks, pieces that are not only a beautiful remembrance of a loved one, but of our persevering human empathy. Every purchase will include a personal note from Leo’s parents, and 20% of all proceeds will be donated to the MISS Foundation, which provides a compassionate community for grieving parents. Maura and Ari Feingold added, "We are so honored to be working with The 2Bandits to help keep Leo's memory alive, support The MISS Foundation, and to bring healing and support to families that are grieving. Being in touch with others who understand the intense grieving process after losing a child — at any age — has been incredibly important in our healing process." Gorgeous jewelry and a good cause — we'll take it.